HomeEnbridge: Corporate Social Responsibility or Greenwashing? Enbridge: Corporate Social Responsibility or Greenwashing? Energy transportation giant Enbridge is pursuing a 1,097 mile crude oil pipeline from Alberta, Canada, through northern Minnesota, ending in Superior, Wisc., raising concerns among Native American and those concerned with the environment. The proposal is currently before the Minnesota Public Utilities Commission (PUC) for review. Enbridge Line 3 carries tar sands crude, a particularly dirty form of fossil fuel. The tar sands mining, processing and pipelines have negatively affected the First Nations Peoples of Canada. Enbridge’s plan calls for replacing an old and failing pipeline with a larger one along a new route. This includes a 337-mile stretch across Minnesota, passing through the Mississippi headwaters region and prime wild rice waters, affecting Anishinaabe people. A major spill here would be devastating. Let’s take a look at Enbridge’s sustainability statements and how they apply to the Line 3 proposal. It’s a 182-page report, so let’s focus on two key sections. That’s good-sounding language. But what happens if the Native peoples simply say: “We don’t want your project?” More details will emerge in the PUC’s public hearing process, but this much we already know. Many Native nations, including White Earth and Red Lake in Minnesota, have signed onto the Treaty Alliance Against Tar Sands Expansion. It states their collective opposition to the expansion of Canadian tar sands development, including pipelines and transportation in any form. Consider that Enbridge says it will respect Native legal rights and their relationship with the land. 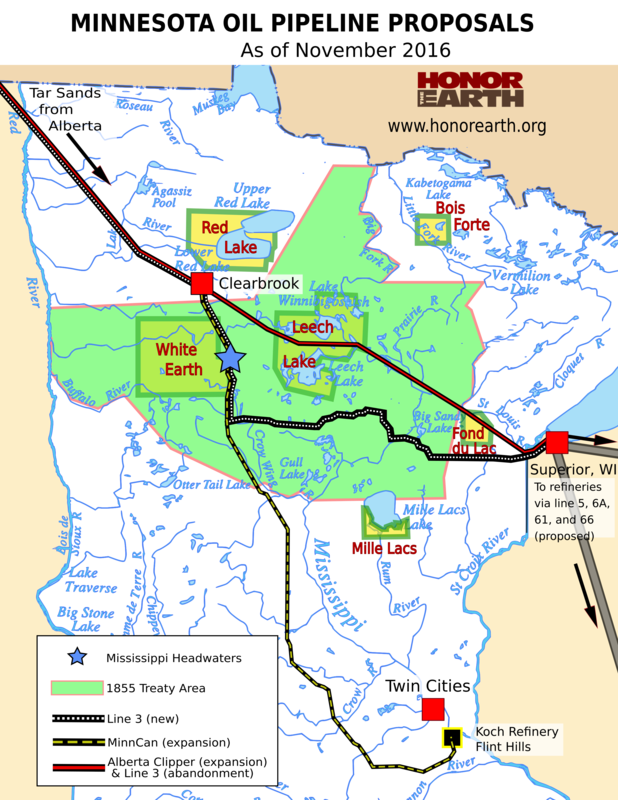 How does that square with how the pipeline will affect the Anishinaabe people’s off reservation treaty rights to hunt, fish, and gather wild rice through much of northern Minnesota, guaranteed in the Treaty of 1855? Enbridge states that it recognizes “the importance of” the U.N. Declaration of the Rights of Indigenous Peoples. But that is different from saying it will live up to the Declaration. This might be splitting hairs, but it seems Enbridge is giving itself some legal wiggleroom here. Lastly, Enbridge invested in the Dakota Access Pipeline, a project strongly opposed by Native American communities, both locally and around the country. Enbridge gives itself a pass on this one, noting it was latecomer to the project: “When we announced our intention to invest, processes for regulatory approval and construction were both well advanced and the project was scheduled for completion by year end. A segment of the North Dakota portion of the pipeline subsequently became the focus of on-the-ground protests and litigation led by the Standing Rock Sioux Tribe…” (Page 76) You can read more of this section to see if you are convinced by Enbridge’s reasoning. Again, the language sounds good. But if Enbridge truly believes that “climate change is a global issue” and is interested in transitioning into a low-carbon economy, why does it propose expanding the tar sands oil pipeline, essentially doubling their current capacity? To put a fine point on it, Line 3 is about boosting corporate profits by importing foreign oil, processing it here, and selling it abroad. While Enbridge is trying to diversify its energy supply and help customers become more energy efficient, its primary business is in moving oil and natural gas. Yes, Enbridge is taking the steps to reduce its greenhouse gas emissions. 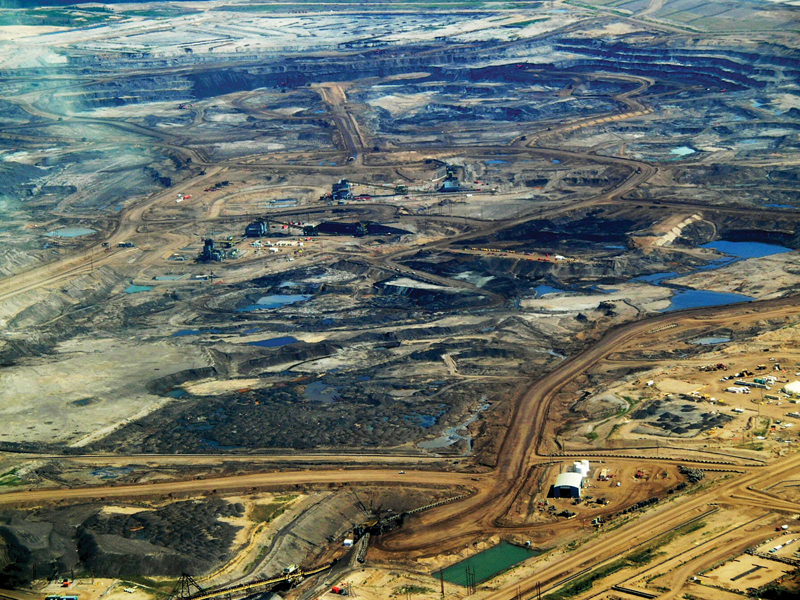 But is still expanding tar sands oil carrying capacity, a model that is not sustainable. Enbridge’s alternative energy investments are obviously a source of pride. Comment: Enbridge is moving in the right direction, the question is, is it quick enough? According to Enbridge’s website, the Line 3 Replacement Program will cost $7.5 billion. That one investment is equivalent to all of Enbridge’s investments in renewable and alternative energy since 2002. What would happen if Enbridge invested the Line 3 money into renewable and alternative energy? That would show that it was taking climate change seriously. For more information and past blogs on Line 3, see our Enbridge Line 3 Page.